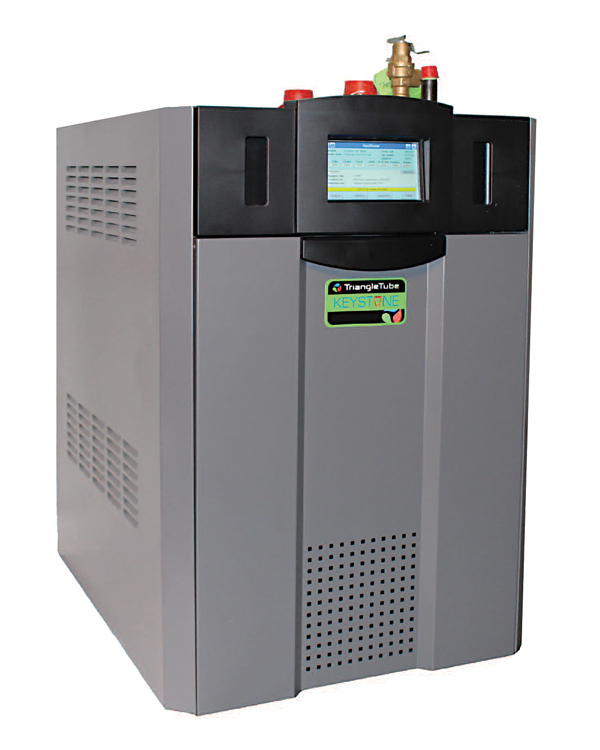 Keystone Condensing Water Heaters produce high volume hot water in with high energy efficiency. Perfectly sized for large residential and light commercial applications. Their compact design minimizes floor space. Large user friendly control interface makes set-up easy. Up to 8 water heaters can be joined in a cascade.